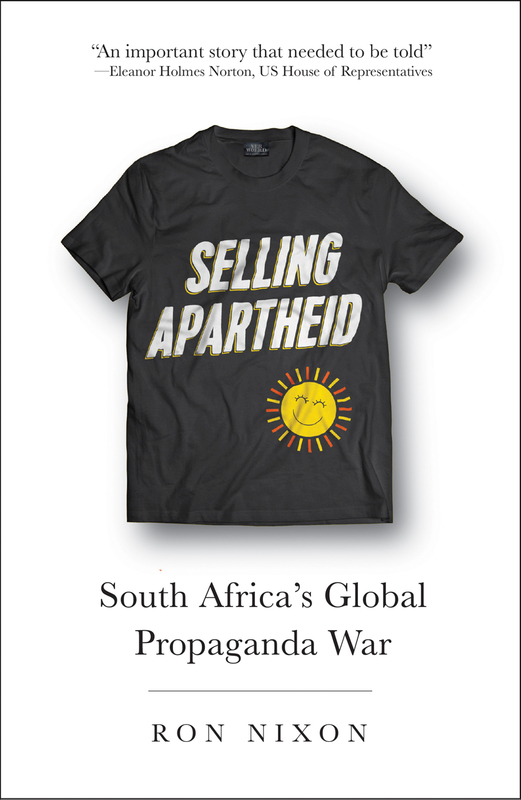 In Selling Apartheid, journalist Ron Nixon brings to light a mostly forgotten aspect of the long battle over apartheid: the global propaganda campaign waged by the South African government in an attempt to bolster support for the regime. Drawing on interviews with key players and thousands of previously unavailable documents from US, British, and South African archives, Nixon offers a detailed picture of a $100 million annual campaign that drew on an elaborate network of support from corporations, conservative religious organizations, and even an unlikely Cold War coalition of liberal black clergy and anticommunist black conservatives aligned with right-wing politicians. The result is a fascinating look at how the image of apartheid was managed, and the regime supported, despite fifty years of struggle and protest. "In Selling Apartheid, Nixon examines the South African government’s coordinated attempts to convince the international community that the apartheid system did not harm the interests of the nonwhite sectors of the South African population. Initial chapters explore evolving government policy actions and coordinated efforts of private South African business groups to shape international public opinion. Later chapters focus upon detailed vignettes regarding specific South African government efforts to shape and reshape international public opinion. Of particular interest is Nixon’s examination of South Africa’s attempts to fund US black conservatives as spokespersons for its contention that anti-apartheid actions supported international communism. Recommended." "Meticulously unpacks the complex web of relationships and covert money flows that promoted South Africa’s repressive policies. At a time of widening alarm over the onslaught of 'fake news', Nixon provides a disturbing exploration of the extreme lengths to which institutions can go to spread misinformation....Nixon writes with the authority of one who has gone to extraordinary lengths — even mining the National Archives in Pretoria and public lobbying records in Europe — to reveal the vast scope of this global propaganda apparatus." "Nixon’s text is an essential addition to the volume of work on South Africa’s apartheid regime. Rich in detail, Selling Apartheid provides the reader with an extended look at the nature of propaganda in modern society." "Examines the efforts of individuals and institutions to turn American and world opinion about South African apartheid in a positive direction." "This is an important story that needed to be told about the apartheid government’s global lobbying effort that tried to whitewash its reprehensible policy of racial separation." "This is a tale of intrigue, rich characters and large checkbooks, played out in all the Western capitals." "A major contribution to the scholarship on the apartheid era and the struggle for liberation in South Africa ... One cannot understand the South African freedom movement without understanding the issues that Nixon so effectively presents to the reader."